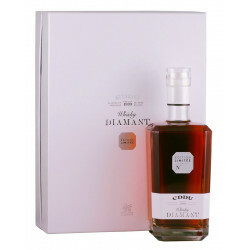 A shining case for a diamond whisky: Eddu reveals a subtle and intense spirit. A fully aromatic limited edition of 390 decanters only. The Menhirs Distillery reveals Eddu Diamond Limited Edition, an intense and subtle whisky, latest gem added to its whisky range. EDDU translates as buckwheat in Breton language. Eddu Diamond has its roots at the heart of Brittany; it is the only whisky in the world which has been produced from buckwheat only, a perfect combination of Irish and Breton techniques. Twice distilled in Charentais stills, Eddu Diamond has aged in oak casks from the Broceliande forest, and ex-Cognac casks. 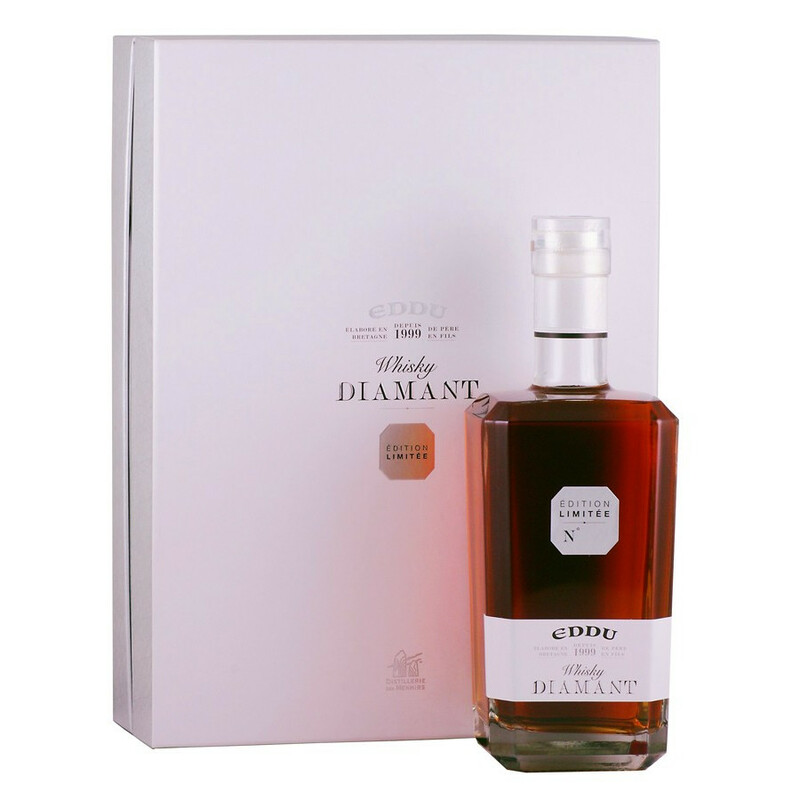 Fruity, supple, fully mature and extremely pleasant in the mouth, Eddu Diamond enters a world of elegance and finesse, with appealing and spicy notes. Only 390 decanters for this premium luxury edition! Nose: both intense and supple, cinnamon and curry notes with candied fruits, revealing great maturity. Notes of fresh fruits (peach and plum) giving way to sweet undertones of exotic fruits and roasted cask wood. Palate: bursting with round and appealing flavours of vanilla and cocoa, notes of white fruits lifted with an edge of spices. Finish: exceptionally long and voluptuous, opening on remarkable mango and coconut.